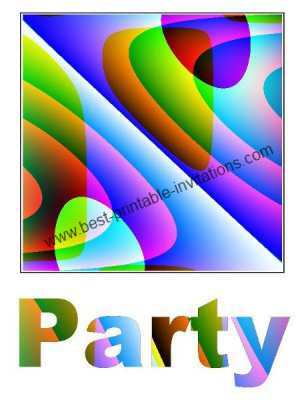 This free foldable invitation is bright and funky - and will set a fun tone for most kinds of parties. These bright invites fold to make a card with space to write the details of your event. 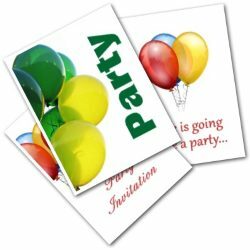 If you would like more color inside the invite, then simply print onto colored paper. Simply scroll down and choose your paper type (A4 or letter). Click on the links to open the invitation in a new window, ready for printing. Each invite prints onto one piece of paper. Then simply fold it to form a card. Isn't this a great design! Very colorful. It could be used for a lot of types of parties - maybe an 80's party? Want To See More Party Invitations?